#MoviesMusicPlaysFilmFestivalsConcerts: News: Simon Pegg's "Kill Me Three Times" opens in theaters April 10! 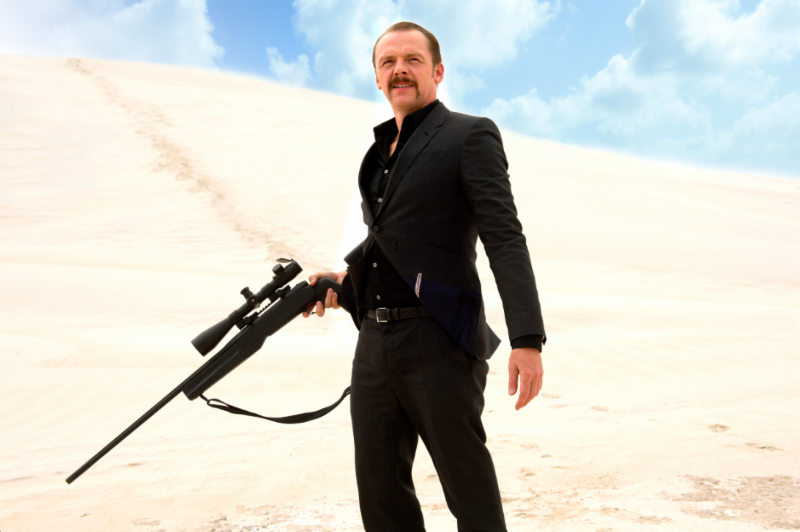 News: Simon Pegg's "Kill Me Three Times" opens in theaters April 10! KILL ME THREE TIMES is a darkly comedic thriller from rising star director Kriv Stenders (Red Dog). Simon Pegg plays the mercurial assassin, Charlie Wolfe, who discovers he isn't the only person trying to kill the siren of a sun-drenched surfing town (Alice Braga). Charlie quickly finds himself at the center of three tales of murder, mayhem, blackmail and revenge. With an original screenplay by James McFarland, the film also stars Sullivan Stapleton (as a gambling addict who attempts to pay off his debts through a risky life insurance scam), Teresa Palmer (as a small town Lady Macbeth), Callan Mulvey (as a wealthy beach club owner simmering with jealousy), Luke Hemsworth (as a local surfer fighting for the woman he loves) and Bryan Brown (as a corrupt cop who demands the juiciest cut).